I can’t believe how beautiful our tv units turned out. They have excellent design team. Everything was perfect, and I couldn’t be more happy. Thanks Asina team. Hi Justin, We are glad that you like our work. It was our pleasure to do the work for you. Thank you. First of all I would like to appoint that Asina Cabinetry Ltd is a one of a kind company, excellent service and great attitude towards myself. The cabinets are all custom made & arrived on-time in perfect condition prior to my requests. 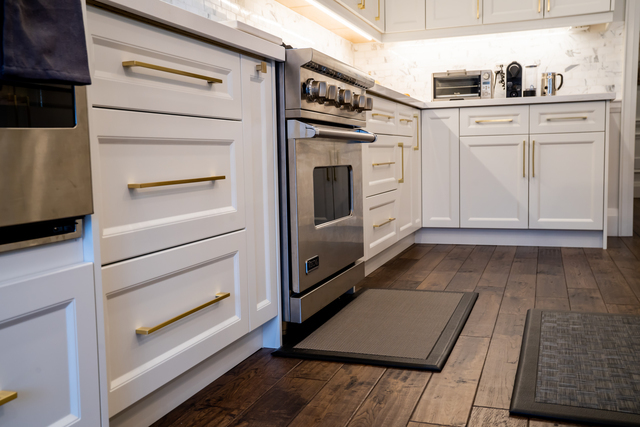 I personally would also like to appraise the designers who would personally lay out all the cabinets before hand to make sure all dimensions were exact to size. And finally a note to the installation crew who were extremely friendly that did a fantastic job in installing and all other adjustments on job. If anything else, I would definitely recommend this company to anyone else who would love to have their old or new kitchen cabinets re-done or put in. Absolutely beautiful. 10/10Stars . Hello Jay, We cannot thank you enough for all the kind words.It was really fantastic working with you and really do hope to again in the future. Thanks again,Jay. Enjoy your new kitchen. I cannot recommend Asina Cabinetry enough. Jenny and her team, Sunny, Ophelia and all of her staff, put the customer first. From the very beginning, Jenny presented as professional, attentive to our wishes, and concerned to keep the costs as reasonable as possible with good quality material . Throughout, the group were immediately responsive to all my needs and my concerns. 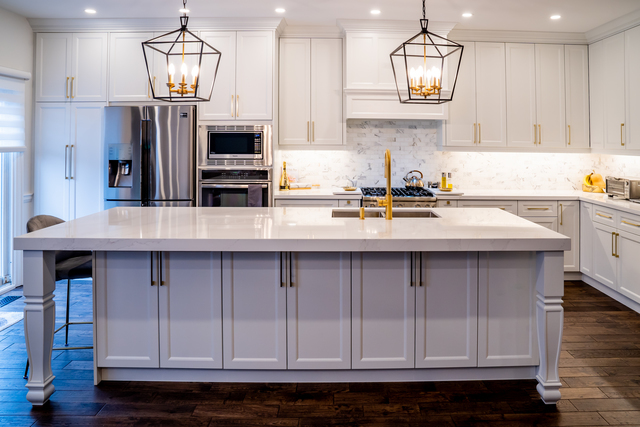 Asina Cabinetry has given us an excellent service in achieving our dream home. Their staff made you feel at ease from the beginning to the end of the project. I had been showing their finished work to our closest friends and family and all I been getting are compliments of pride and awesome work! Can’t pick an exact words to describe the moment when even our own young children were excited to show around the house to our neighbors. Thanks Asina for everything. Thank you for the kind review Arlene. We are glad that you and your family like our work so much. It was our pleasure to work with you. 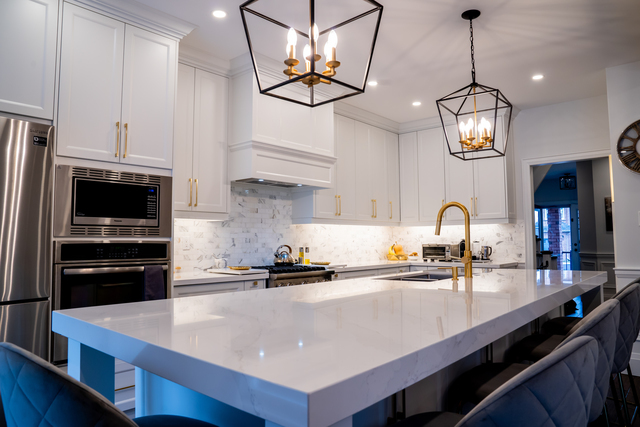 I contracted Asina to provide the cabinetry as part of a major ground floor renovation in which we moved our kitchen to another area of the house. I came across Asina by chance and it was the best decision to select Asina over a number of other companies i interviewed. Firstly, the level of service is excellent. I met with Asina on numerous occasions with and without my designer. They produced the diagrams and quote very quickly and had excellent input. I have countless emails to Asina - not because of problems but because I am so detail oriented. They have always responded, quickly and with patience. With Asina, you get custom cabinets and great quality. The installers are excellent. I have already had a few people ask me who did the kitchen and passed on the contact details. Thank you so much to Jenny and Ophelia. Approximately 2-1/2 years ago we had a contractor renovate our kitchen. The cabinetry was ordered and installed by Asina. A few. 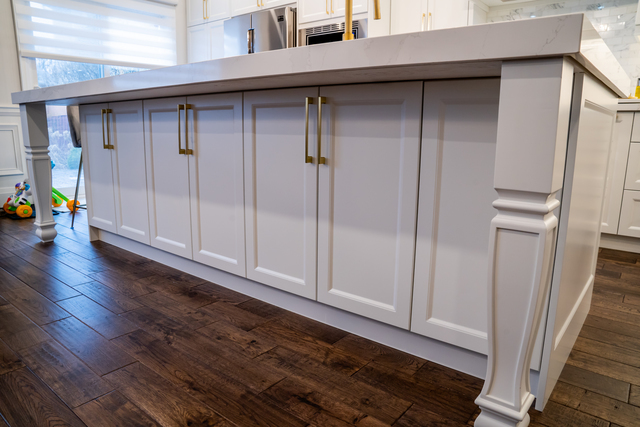 months ago, I noticed a gap above the cabinetry and, since I had been in touch with Asina before for a separate installation, I decided to contact them directly, rather than going through my contractor. I just knew I would probably get faster service dealing with Asina than with my contractor(Mr.Granite). And that was exactly the case. Sunny contacted me and Jason came by first and he decided, in order to do the job properly, a new piece of stripping needed to be installed. While he was here, he also did some tweaking on the door closure of one of the cabinets. The installation of the stripping was top notch. This shows that Asina stands by their workmanship and will certainly follow up if there happens to be a future repair issue. All in all, Asina provides excellent customer service and quality workmanship handled with professionalism. Thank you so much for your time and your compliments. We greatly appreciate it, and happy to help you with this. When we started our kitchen project, we received several quotes. Ended up we gave it a try to use Asina for the job. Kitchen project is a big job and we are surprisingly impressed with Ophelia's design suggestions, her dedication and efficient detailed follow up; and the price is very reasonable. Ophelia patiently took the time to go through all the details with us and make sure everything is right. The installation crew came on time and they did an amazing job putting the cabinets together. We are so happy with our beautiful kitchen. Thanks so much to Ophelia and Asina crew making our dream kitchen come true. We definitely recommend Asina to all our family and friends. I had Asina design and build custom cabinets for our kitchen reno. It was a pleasure dealing with their team and the cabinets are beautiful. They were on schedule and their installers are very professional. We are so happy with how our built in unit turned out! Asina were easy to work with and were incredible quick - they came to install the unit two weeks after we ordered it. The quality is great and it looks awesome. We would definitely use them again! Thank you so much for your comment Jenny. We are happy to hear that you like your cabinets. Enjoy your new units and we will keep in touch. Thanks again. I am an elderly widow living alone in my condominium. After 21 years, during which I spend much time in my kitchen cooking for family and friends, I began to realise my kitchen could do with a “new look”. My family, although encouraging, gave much advice concerning which large firms I should be consulting, and how many quotes I should obtain, prior to selecting the best and most reliable firm to do the job. My friends assured me it would only cause terrible aggravation. Many firms are unreliable, they said. Several told me stories of their own awful experiences-jobs not completed on time, or not at all, and shoddy work done. I was introduced to Jenny, who heads the Asina Cabinetry Company, who is a highly competent but also a most approachable person. I was given the opportunity to see other work this firm had completed in my building. Impressed with their extremely business-like approach, I took no notice of family advice, and selected Asina forthwith! Without delay, an excellent plan for my new kitchen was produced. We drew up our contract, and work began exactly on schedule. The total remodelling of my kitchen was completed in 14 days. It is magnificent!! The kitchen is not only most attractive, but incredibly practically designed and a joy to work in now! A friend who is knowledgeable about construction assures me the workmanship is perfect. I have only one word of advice for anyone wishing to use Asina. Do insist that the senior staff supervise the daily work, as they will ensure the care of the rest of your home, which I found to be very necessary. Thank you for your comment, we appreciate for your time and effort to wrote the review. Wish you enjoy your new cabinets and kitchen, and have a happy life.